Methodism was introduced to South Africa by British soldiers stationed at the Cape, and the first missionary was appointed in response to an appeal from their leader, Sergeant John Kendrick. The Rev J McKenny arrived in 1814 but was refused permission to preach and went on to Ceylon. He was followed in 1816 by the Rev Barnabas Shaw who defied the Governor and began to preach without permission. Before long he left Cape Town and settled among a group of Namaqua people at Lily Fountain in the Kamiesberg, about five hundred kilometres to the north. This became the springboard for further advance into modern Namibia, a venture which cost the lives of the Rev William Threlfall and his Nama companions, the Rev Jacob Links and Evangelist Johannes Jager who were murdered by their San guide. Mission stations were eventually planted at Warmbaths and as far north as Gobabis and Windhoek, but were abandoned in the 1860s mainly because the Missionary Society was in financial difficulties. The work nearer Cape Town was more enduring. In 1834 Shaw bought land in Somerset West on which he settled a number of emancipated slaves, many of whose descendants still occupy their cottages. A substantial church was built in 1861 and was in constant use until 2010 when part of the structure collapsed. Societies were also established at Stellenbosch, Robertson and throughout the Cape Peninsula. A second line of advance was opened in 1820 when William Shaw (unrelated to Barnabas) arrived in the Eastern Cape with the British Settlers. Although he was officially chaplain to the Sephton Party, he regarded the whole settlement as his parish and established a thriving colonial church. Commemoration Church in Grahamstown, which commemorates the silver jubilee of the settlement, bears testimony to its status and optimism. Shaw did not limit his attention to the colonists. In November 1823 he established Wesleyville among the Gqunukhwebe and by 1830 he had planted six more stations between the Fish and Umzimvubu Rivers and laid the foundation of the strong Methodist witness in the former Transkei. It was not plain sailing, for several of the missions were destroyed more than once in successive frontier wars, but the missionaries persevered and their perseverance was rewarded. In 1834, William Boyce published his Xhosa grammar in which he explained the so-called euphonic concord which was critical to the understanding of the language. Many of the missionaries translated portions of the scriptures and in September 1859 JW Appleyard completed the mammoth task of translating and printing the entire Bible. Unfortunately his work did not find favour with some missionaries of other societies who felt that his Xhosa was not sufficiently idiomatic. Appleyard co-operated in the preparation of a revised translation but the Methodist people insisted on using his version until 1925 when another Methodist, Theo Curnick, oversaw a further revision which satisfied all. From an early stage the missionaries made use of African preachers and in 1865 the Grahamstown District Meeting accepted five African candidates for the ministry. The most outstanding of these was Charles Pamla who found his calling as an evangelist when he interpreted for the American bishop, William Taylor, who conducted a fruitful evangelistic mission in 1866. Pamla served for over forty years as an evangelist, a circuit superintendent and a member of Conference and is rightly regarded as the father of the African ministry. While William Shaw was setting up his chain of stations, missionaries from the Cape crossed the Orange River to evangelise the regions beyond. In 1823 Samuel Broadbent and Thomas Hodgson settled with the Barolong at Maquassi where Mrs Broadbent gave birth to a son, the first white child to be born beyond the Vaal River. Unfortunately, the station was destroyed in 1824 and finally abandoned the following year. After wearisome wanderings, the Barolong and their missionaries eventually settled at Thaba ‘Nchu in 1833. A number of other stations were established further east, but these had to be given up when the republican Orange Free State conquered the territory from the Basotho. Later in the century, African and European causes were established in many of the small towns in the Free State, but the most significant work was on the Diamond Fields at Kimberley where the presence of labourers from all over Southern Africa provided a unique opportunity for evangelism. The mission to Natal was launched in 1842 when James Archbell arrived in Durban with a British force which had been sent to counter the Voortrekkers who had set up the Republic of Natalia. The arrival of British settlers from the late forties led to the development of vigorous European circuits in Durban, Pietermaritzburg, Verulam and other country areas. In the African work the most significant contribution was made by the Rev James Allison who resigned from the mission only three years after he arrived in Natal. Allison was an outstanding missionary who had begun his ministry in the Orange Free State and was sent by his colleagues to establish a mission in Swaziland. He arrived there in the midst of a tussle between the young king, Mswati, and his elder brother and was forced to withdraw before long with his African helpers and a number of Swazi converts. They settled at Indaleni, south of Pietermaritzburg, where he began industrial training and was winning converts from the surrounding tribes. Unfortunately, he fell out with Archbell and Shaw and resigned in 1850. He bought a farm on the outskirts of Pietermaritzburg which he renamed Edendale, and sold plots to the people who had followed him from Indaleni. Some ten years later these landowners opted to rejoin the Wesleyans who thus acquired their most thriving station and a number of outstanding members who had been shaped by Allison’s ministry. In 1867 a number of them bought land at Driefontein, north-west of Ladysmith, and began a ministry of lay evangelism which opened the way for expansion into northern Natal. A few years later Allison’s protégés were the prime movers in the formation of Nzondelelo, an African Home Mission Society, which continues to support evangelists across Kwazulu-Natal to the present day. Several of them were received into the ministry during the visit of the Rev John Kilner in 1880. A unique feature of the work in Natal was the mission to Indians who were imported as indentured labourers from 1861. The Rev Ralph Stott, who had worked in Sri Lanka and was fluent in Tamil, reached Durban in 1862 and spent his last seventeen years in a strenuous ministry that bore little fruit at the time but laid the foundations of a small but faithful Christian community. The mission was carried forward by his son, Simon Horner Stott, and a succession of Indian evangelists and ministers, notably the Choonoos, father and sons, in Durban and Verulam and the Rev John Thomas in Pietermarizburg. The Indian work, which is celebrating its one hundred and fiftieth anniversary, no longer exists as a separate entity but Christians of Indian descent play their part in a number of non-racial circuits. Natal was the springboard from which Methodism entered the Transvaal. Ministers were appointed to Potchefstroom and Pretoria after a tour of inspection by the Rev George Blencowe of Ladysmith in 1871, and a full-scale mission district was constituted in 1880 under the chairmanship of the Rev Owen Watkins of Pietermaritzburg. His first step was to reoccupy Swaziland to which the Rev. Daniel Msimang returned some thirty five years after he had gone into exile with Allison. In 1885 a minister was sent to Montshiwa’s people at Mahikeng where Watkins had found a church of 1000 with 35 local preachers. This was the work of Montshiwa’s brother, Molema, who was the first member of the chiefly family to be converted at Thaba ‘Nchu, and had become a local preacher before Montshiwa’s clan returned to its ancestral lands. Molema shepherded the Christian community from 1850 until his death in 1882 with occasional visits from Wesleyan missionaries and sometimes in the face of persecution by his brother and the tribe. Montshiwa had supported the British in their conflict with the Boers and, out of respect for this, the Royal Engineers erected a fine church which seats 700 and remains in use to this day! From Mahikeng Methodism spread north into Botswana. To the north of Pretoria, Watkins penetrated into modern Zimbabwe which soon became an independent district, and south of the Limpopo missions were developed in the Waterberg, Soutpansberg and Sekhukuniland. In many places the missionaries discovered that the Gospel had preceded them through the work of men such as Samuel Mathabathe and Hans Aapje who had been converted in the Cape or Natal and returned to share the good news with their people. Blencowe had discovered a similar unpaid evangelist at Potchefstroom in the person of David Magatha. Likewise the Methodist witness was planted in Mozambique by Robert Mashaba, a native of that country who had been converted in Port Elizabeth and become a class leader in Kimberley. He was convicted on a spurious political charge and imprisoned for eight years off the west coast of Africa. After his release he was ordained and ministered in the Transvaal. A missionary was sent to Maputo in 1904 and the Rev H L Bishop laboured there for nearly twenty years and helped to translate the scriptures into Shironga. The discovery of gold on the Witwatersrand led to the establishment of work among the Europeans and Africans who flocked to the rough mining village of Johannesburg and its surrounds. After the disruption caused by the South African War, the Missionary Society sent the Rev Amos Burnett to chair the district. Under his leadership between 1902 and 1925 Methodism was consolidated in all parts of the district and among all population groups. This was made possible by considerable contributions in money and men from the parent church in Great Britain. It was only when this aid seemed likely to be reduced that the Transvaal linked up with Methodism in the southern provinces, in January 1931. 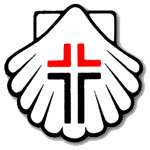 The Church faced a major crisis as apartheid was implemented. Africans were not allowed to own land in the old Transvaal Republic and the missionaries had bought several farms to be used as mission settlements. These were now declared to be “black spots” and had to be sold. However, the capital helped to erect a large number of churches and manses in Soweto and other areas affected by forced removals. In 1880 the Rev John Kilner, a secretary of the Missionary Society, spent close on a year in South Africa in what a contemporary described as “a deputational hurricane”. This led to the formation of the Transvaal District, the acceptance of seventy five candidates for the African ministry and the decision to form a South African Conference. This came into being in 1883 as an Affiliated Conference and attained full independence in 1927. The grant from the British Church was reduced progressively and early in the Twentieth Century the South African Conference was the only church, other than the Dutch Reformed Church, to receive no financial aid from overseas. This placed severe constraints upon its missionary work, especially in times of commercial depression, but disaster was averted by the faithful giving of African members who supported their own ministers, and the generosity of better-off European donors. In spite of financial and manpower difficulties, the number of full members grew rapidly from 21993 in 1883 and 101393 in 1917 to 120658 at the time of union with the Transvaal. By far the largest increase was of African members who numbered 18582 in 1883, 83766 in 1917 and 98223 in 1930. The work of African ministers was a major factor in this growth. By 1930 they numbered 149, of whom only 5 were in retirement. Much of the expansion was in established missions but new fields were entered. Thomas Gebuza, initially a self-appointed evangelist, pioneered the work in northern Kwazulu; and the Rev Joseph Wood entered South West Africa (Namibia) in 1914 as a chaplain with the South African forces and superintended the work there until 1929. Methodism was prevented from entering Lesotho by an agreement with the Paris Evangelical Missionary Society, but this became increasingly unworkable as members returned to their homes there and people living near the border were evangelized from neighbouring circuits in the Free State and Transkei. The agreement was revoked and the Rev Moses Maribe was sent to Mafeteng where he was succeeded in 1929 by the Rev John Mokitimi whose son, Seth, was to become the first African President of Conference. Between 1923 and 1928 two missionaries were stationed at Bukoba on the western shore of Lake Victoria, but the cost of this mission was greater than the available resources and the work was handed over to the German society which had operated there before the war. “You have nothing to do but to save souls”, said Wesley, but education was essential if converts were to be established in the faith. From the beginning missionaries taught them to read and before long African teachers were being trained and children were being taught reading, writing and arithmetic. From the middle of the 19th Century African education was subsidized by the Cape Government and to a much lesser extent in Natal. This was expanded after union in 1910 and in 1930 there were 1032 Methodist day schools with more than 84 000 pupils. The Church provided the buildings and ministers served as managers, but salaries were paid by government. In many cases the teachers were not committed Christians and the influence of the Church was minimal. The Church had far greater influence in the training institutions which developed from the middle of the 19th Century. The premier Methodist foundation was Healdtown, which was selected by Governor Sir George Grey in 1855 as the site of an industrial training school but soon became a teacher training centre and, in the twentieth century, a high school where Nelson Mandela completed his schooling. Similar institutions were established at Clarkebury (where Mandela had his primary education), and on other stations in the Transkei, Natal and the Orange Free State. The Transvaal was served by the Kilnerton Institution which was established in 1886 and was the alma mater of the Dr Stanley Mogoba, the first Presiding Bishop of the MCSA. Its initial reaction to the notorious Land Act of 1913 was rather muted, probably because Tengo Jabavu, the senior and most influential African member of Conference, adopted an ambivalent attitude, but the church was very vocal about the unfair distribution of land and the failure of the Union Government to consult the African population. There was no ambiguity in its negative response to the Colour Bar Act of 1925 and the segregation legislation which General Hertzog introduced in 1926 and managed to enact ten years later. Conference followed the lead of the Rev Zaccheus Mahabane who served on two occasions as President of the African National Congress and Professor Don Jabavu (the son of Tengo), who presided at the All African Convention in 1936. African affairs fell into the background during the Second World War, but Conference was consistent in its opposition to the policy of Apartheid between 1948 and 1994. Perhaps its boldest action was to elect the Rev Seth Mokitimi as President of the 1964 Conference in spite of the possibility that the Church would be declared to be black and deprived of its properties in white areas. Methodism has yet to discover its proper role in the political life of the new democracy.